I left things a little open-ended last time when I said I’d simply add code to my Container class to open and close container objects. Well, as it turns out doing that was a lot more fun than I expected. No, seriously, it was really fun to do, because I was able to reshuffle my code quite a bit while… Continue reading "Containers, Take Two"
After finishing containers the other day, I also decided to create supporters. A supporter is an object on which you can put things—like a table, for example, or a shelf. Very quickly, I realized that supporters are no different from containers, really. Instead of putting things IN them, you put things ON them. Since everything in a text adventure is… Continue reading "Putting stuff on stuff…"
Scenery and items are in the bag and my project begins to resemble a true game more and more, as I have begun to fill in various little details the player can interact with. However, I can tell I’m still a long way from a full game because tons of features are still missing that make professional games so incredibly… Continue reading "Putting stuff in stuff…"
After I created my Item class and began using it, I soon realized that there are moments when I do not want item details to be printed separately because its description is already part of the room description itself and properly covered there. But what if the player takes the item?, I can hear you wonder. In that case, my… Continue reading "Filling in details"
Now that I have my scenery objects in play, the next big thing to tackle is Items. As you may expect, I consider items to be game objects that you can pick up, carry around and put to use in other places. Naturally, creating items will also include having an inventory. When you think about it, items are actually not… Continue reading "Take Me"
My project has been growing quite a bit and, yes, I am kind of proud of it, even though the term game could hardly be applied to it yet. But I’m getting there… you just wait. 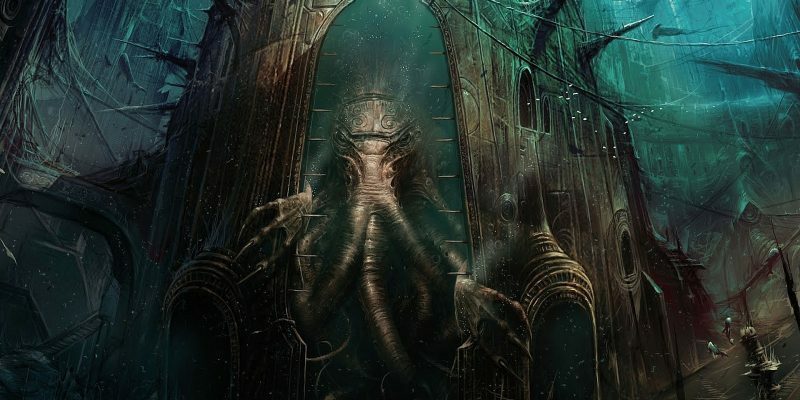 But, since the project has grown, I began to feel that I need to take it out of the vacuum that it is in… Continue reading "Cthulhu Dreams"
With the parser in place and the exits connecting the different rooms, the next step to turn this project into something more than an experiment is to add Scenery. By that, I mean objects that are part of the room description or are mentioned in some of the responses that the player can actually interact with. Like a painting, for… Continue reading "Adding Color with Scenery"
As I’ve been plowing away at my little game, it kept growing and now it’s not really all that small again… and growing still. So far I’ve been using IDLE, the programming environment that comes with the official Python package, and for the most part, it did the job just fine. But as my source file got longer and more… Continue reading "Switching to PyCharm"
Now that we have different rooms in place, the next logical step is to connect them and allow the player to walk from one to the other. What we need to get started is something to represent an Exit. But what is an exit in game terms? Since we’ll be making this a class, the first thing we have to… Continue reading "Time to Move"
With the parser firmly in place now, allowing me to interpret the player’s input command, it is time to move to the next stage. When you think about how a text adventure game is set up and how it works, it very quickly becomes obvious that at the heart of it all is the Room. Everything in the game takes… Continue reading "Going to the core"